Charlotte Harris can't speak due to a quirk in her autistic brain, but that doesn't stop her from communicating with others. Unfortunately, it prevents her from achieving two of her dreams--to praise God through singing and to carry on a simple conversation with her own voice. Zakaria Rush is the new Director of Children's Ministries at Charlotte's church, and he can't keep his thoughts off the partially mute blonde with a love for guitar music. Her innocence and love of the simple things in life intrigue him and make him long to give her what she wants more than anything: her voice. Can Zakaria help Charlotte find the key to unlocking her ability to speak, or will his attempt to help her only lock away their chance for love? Charlotte Harris ran the dust cloth down the wooden railing, leaving behind the scent of lemons as she descended the stairs. After she put away the rag, she had to vacuum the sanctuary—her least favorite task. The whine of the machine inevitably caused her brain to whirl in a storm of chaos, making it impossible to think. When she first got the job of cleaning the church, she’d spent hours forcing herself to endure the painful, thought-scattering hum of her mother’s vacuum until she could tolerate it well enough to get the job done. No one ever came in the church while she was cleaning. The entire congregation knew her schedule—Tuesday and Saturday afternoons—and they always made sure to come at a different time. Charlotte had never been sure if it was because they didn’t want to get in her way or if her parents had talked to them about the importance of routine for her. When she was little, she’d gotten upset by people showing up unannounced, but now that she was twenty-three, she liked to think she could handle surprises a little better. Her breath caught in her throat and her heart raced as she studied him. Not only was he a talented musician, he was gorgeous, more gorgeous than anyone she’d ever seen in this small Indiana town. His black hair was a little shaggy but stylish; his straight nose, high cheekbones, and tan complexion made her think of Native Americans and Italians; his lean build clothed in faded blue jeans, an olive green T-shirt, and worn-in sneakers made him look laid back. Peace filled his face as he strummed his guitar. 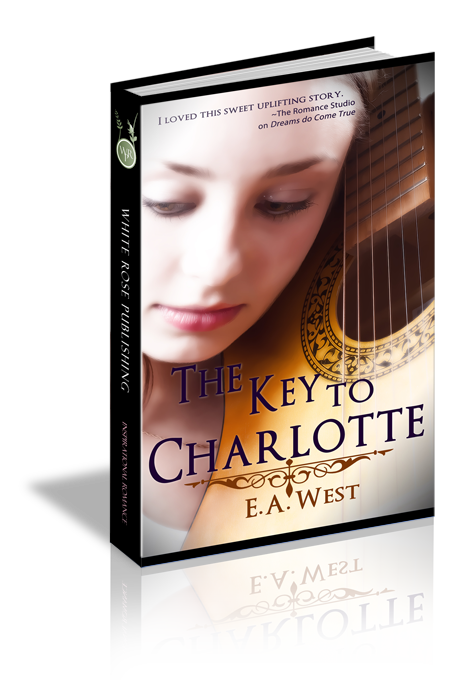 The corners of his mouth turned up slightly, making Charlotte wonder if the sound of a guitar brought him as much joy as it did her. She wasn’t sure what he meant. Sometimes it felt as though her brain was riddled with roadblocks and she had difficulty comprehending…wait. He worked here? Had anyone warned him that she didn’t talk? She knew the basics of speech, but putting all the sounds together to form words and sentences was beyond her. She’d learned sign language, but very few people knew more than a couple of basic signs. That’s why her cell phone had a text-to-speech application.